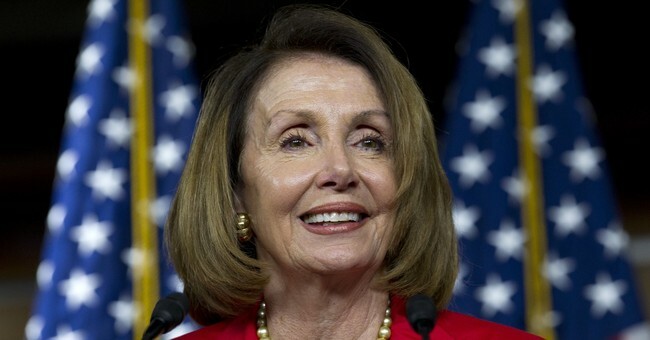 House Minority Leader Nancy Pelosi (D-CA) told Harvard students Tuesday that President Trump’s desire to build a wall along the U.S. border with Mexico is a “manhood issue” for him. “In my view it’s immoral, expensive, ineffective, and not something that people do between countries,” Pelosi said about the wall proposal. “But, in any event it happens to be like a manhood issue for the president and I’m not interested in that,” she said, causing the students to laugh and applaud. She also emphasized that President Trump shouldn’t be able to say that Democrats aren’t interested in protecting the border. Pelosi told Politico earlier Tuesday that she didn’t see “any” Democrats voting to fund a border wall. Republicans and Democrats are getting ready for a fight over border wall funding following the upcoming midterm elections and whether or not Democrats are able to retake the House from Republicans will be a key factor in the amount of leverage they will have in the debate. Pelosi told Politico that if Democrats take back the House they would lead with a campaign finance reform bill, then push to lower drug prices, establish a background-check system for gun purchases, and craft legislation to protect Dreamers.